Aaron Hanson, owner of Bunsenbrewer in Sandy, describes his taproom and pub as “half science lab, half living room,” explaining that the decor and glassware carry a laboratory theme. Bunsenbrewer opened in December of 2013 and is the little town’s only brewery. 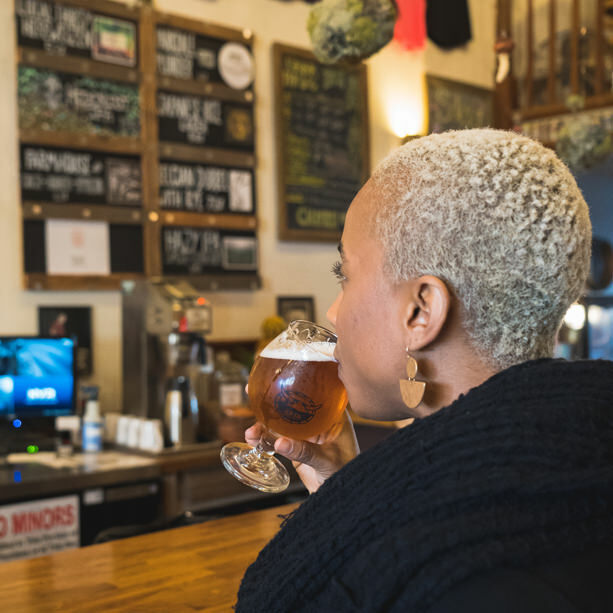 Just 17 miles west of Portland, Troutdale is the gateway to the Columbia River Gorge and the western threshold to the Gorge beer trail. 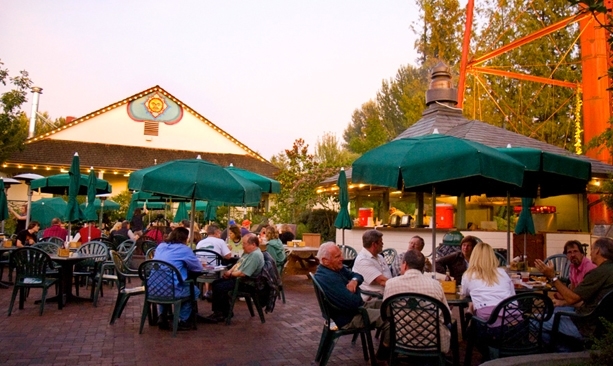 Stop in at McMenamins Edgefield Brewery, the company’s largest brewery, which opened in 1991 in the cannery building of the former county poor farm. Stay overnight in one of Edgefield’s 100 European-style guest rooms and enjoy the entire 74-acre campus, complete with restaurants, small tasting rooms and gardens. 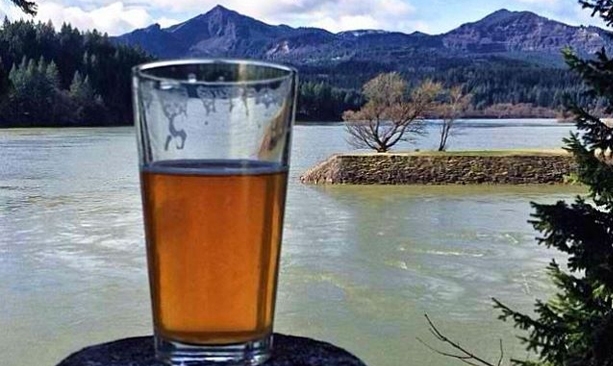 Perched on the banks of the Columbia River, Thunder Island Brewing in Cascade Locks opened in 2013 as the project of beer-loving outdoor enthusiasts. In addition to great beers, you can’t beat Thunder Island’s picturesque patio. Solera Brewery uses an unique barrel aging and blending process, with special-edition beers that sell out fast. Parkdale’s Solera Brewery has what is arguably the best view of Mt. Hood. The in-your-face mountain vista from the backyard picnic tables is more than enough reason to park yourself in the sunshine in this little town south of Hood River. Come winter, get your sips in the cozy tasting room, where you’ll get first dibs on the latest small-batch beer before they’re even bottled. Stop for refreshment at Sedition Brewing in downtown The Dalles, steps away from an Oregon Mural Trail spot. Take a look at the brand new Freebridge Brewing, housed in the historic U.S. Mint building in The Dalles’ downtown area. You’ll stick around for a while thanks to the full lineup of original, bold brews. 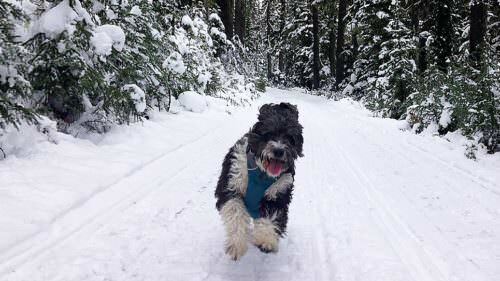 Even better, you’ll be steps away from one of the latest additions to the Oregon Mural Trail. Flying a bit under the radar, Logsdon Farmhouse Organic Ales is just south of Hood River on Highway 35 and crafts organic, Belgian-style ales using Northwest-grown barley malt, whole-cone hops and hops and fruit from their Hood River farm. Down on the Hood River Waterfront, pFriem Family Brewers brought Belgian-style ales to the fore when it opened its doors in 2012. 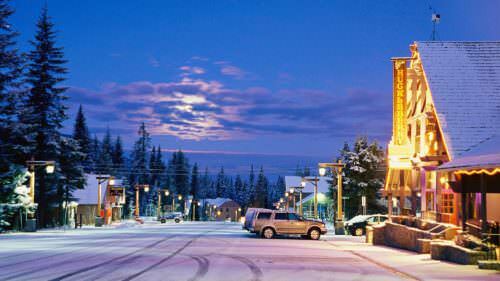 Just a stone’s throw from a family-friendly park as well as great windsurfing and kiteboarding spots, pFreim is the place to take in the Hood River scene. Feel special with a sip of one of Big Horse Brewing‘s small batch brews. (They brew just eight kegs per batch in the building’s cellar!) Big Horse is Hood River’s oldest and smallest brewpub, family owned and operated since 1988. 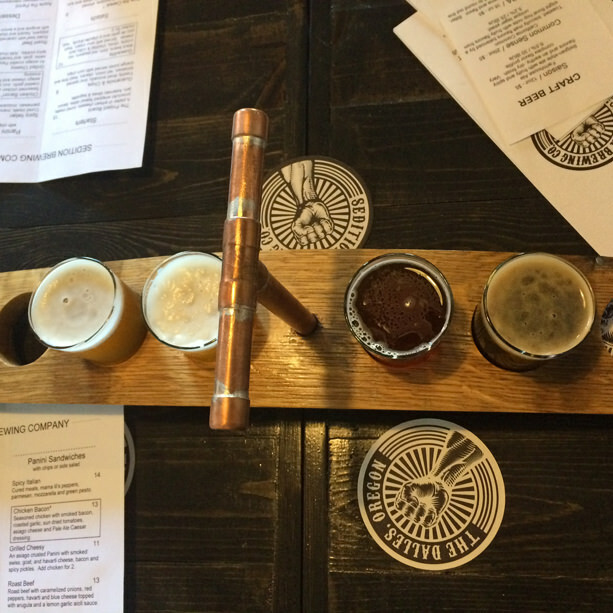 Double Mountain Brewery & Taproom is always hopping in Hood River (and it’s not just the beer!). Belly up to the bar, grab a table inside the lively restaurant or get a chair in the sunshine on the sidewalk. Just around the corner from Double Mountain is the Gorge grand brewdaddy, Full Sail Brewing, which opened shop in 1987. Celebrating its 29th year and counting, Full Sail keeps it real with its experimental beer program. 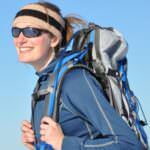 For extra credit, head to the big mountain to unwind at Mt. 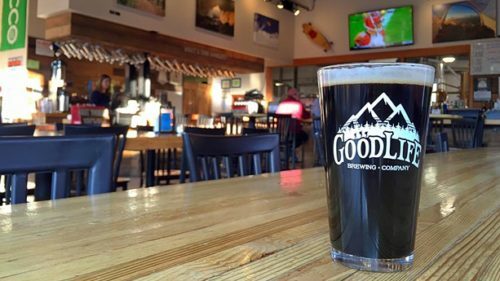 Hood Brewing Company, the “microbrewery with altitude.” whhe menu is sourced locally and the beer is brewed with glacial water from Mt. Hood.